Let’s compare three tower-type indoor heaters: Honeywell HCE323V vs HCE322V vs HCE311V. What’s the difference? Is there really a significant difference? YES. That’s the short answer. These Honeywell heaters, first and foremost, vary in size. The HCE311V is a compact heater for small rooms, ideal for people who are looking for a personal unit. The HCE323V is designed for large spaces. 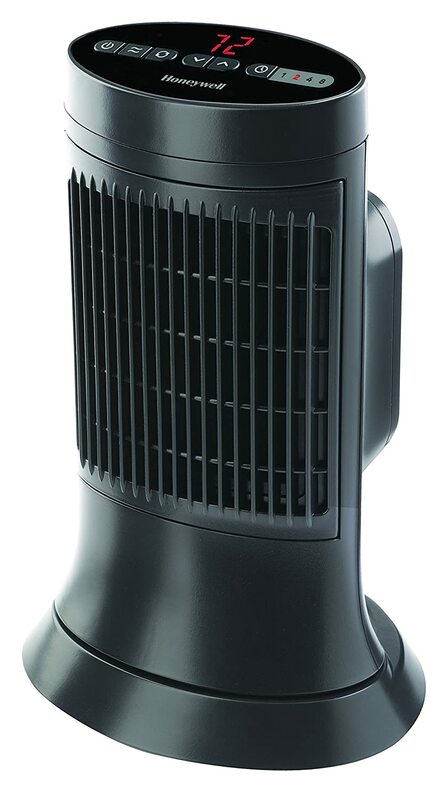 These three tower heaters also differ in features. Find out more in this comparison report. Here’s a quick reference for you. Here, we list down the two main differences of these Honeywell heaters. As previously mentioned, size is where these heaters mainly differ in. The Honeywell HCE323V is the largest of the three, designed for large rooms. The Honeywell HCE311V, on the other hand, is the shortest/smallest. It’s made as a personal heater. The Honeywell HCE323V has the advantage of having a motion sensor, which automatically turns the heater off if it senses that an object is too close to it. It’s one useful feature that the HCE322V and the HCE311V don’t have. In addition, the Honeywell HCE323V has a remote control. The others don’t. Also Read: Lasko 5160 vs 5165: Spot the Difference! Which of these heaters should you get? Here’s what we have to say. Your choice is largely dependent on the size of your room. For medium to large rooms, get the Honeywell HCE323V. The remote control is a big plus, and so is its motion sensor feature. For a much more personal use, the Honeywell HCE311V is a good choice.